If you are from Washington and you need immediate help with your overhead door, Garage Door Repair Seattle will not keep you waiting. We are trained to respond swiftly, bringing you the kind of service you need. At Neighborhood Garage Door Service, we sell, install and fix your garage door opener, overhead garage door, garage door springs, garage door installation, garage door repair and more. Our goal is to provide you with the perfect blend of quality and value with your garage door repair and service. Feel free to contact our friendly staff anytime, and we'll look forward to taking care of your family 24/7 with any overhead garage door repair and service needs. We're proud to share the neighborhood with you and thank you for choosing our team to take care of the largest door in your home! Remember that our team is available 24 hours/day even on all major holidays. We do our best to offer a service that is as convenient for your busy schedule as possible. Give our friendly staff a call today, and we'll have a technician out to your home in as little as an hour. You can always expect fair prices from us no matter what you need. Give us a call today, and lets get your home taken care of the right way. We offer a daily Lube-n-Tune special that will help extend the life of your garage door in any weather conditions. We also service and install custom wood garage doors. Don't forget to ask about the lifetime warranties we offer on many of our products! You'll find more daily discounts for veterans, teachers, police, fireman, EMTs, AARP, seniors, and more. Established in 1995. Neighborhood Garage Door Service began in a tiny garage on a small wooden desk, an old notepad, and a house phone. It was a simple mom, pop and son operation that earned jobs via referrals around town. The small time family finally gathered enough courage to take out a small business loan and placed ads all around town including phone books, newspapers, and message boards. In 2 short years, the company grew to 8 full time certified technicians and was the trusted name in garage doors throughout the community. Over the next 15+ years, the team slowly upgraded every aspect of the business from trucks to products offered to technician expertise. Today, we have a local staff of over 50 here to help you with everything related to your garage door. Seattle’s Trusted Locksmith At Pi Security Solutions, we pride ourselves in these 4 “P” values. We know how important it is that your locksmith/security needs are addressed—and met—in a timely fashion. We will be there with friendly, professional, knowledgeable locksmiths and Seattle home lockout experts, who pay attention to detail to ensure your job is done right. We bring a craftsman’s knowledge to every assignment, whether it’s Seattle car locksmith services, or designing a security system for your multi-location business. Garage Door Repair Seattle feature 24 / 7 Emergency Repair, Commercial & Residential Service. 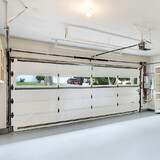 Specializing in Installing New Garage Doors. Over 30 years of experience in the garage doors and gate industry. We offer FREE estimates on ALL of our services. Our Local & Experienced technicians are standing by. We are trained and certified Garage Door Repair Company, that means that every technician on our team is a professional in his/her job and expertise. 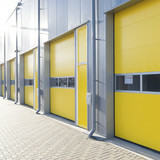 We have dealt with any possible Garage Doors Service and we have came out successful in ALL of our service calls. 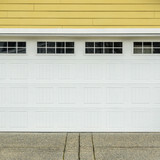 There is no job tough enough for Garage Door Repair Seattle . Whether the garage door has collapsed or misaligned, fell off track, failed door opener, broken drum roller, or simply needs a grease up to stop a squeaky noise, we are here 24/7 with FREE estimate on your Garage repair! "Elite Garage Door & Gate Repair Of Seattle, is a trusted, family-owned garage door repair business that has provided superior garage door & gate repair services for Seattle and the surrounding areas for some years. We can respond to your call anytime, and we specialize in both Residential and Commercial Garage Door Repair In Seattle, garage door service in Seattle and we are equipped to service all brands of garage doors, along with all manufacturers of garage door openers. These include; Linear, Liftmaster, Raynor, Amarr, Clopay and many other brands. Also, we can also provide same-day Garage Door Repair Seattle. At our company, we have a very simple approach to business â?? we will be there, when you need us, any time of the day or night, any day of the year! Give us a call now, or just send us an email, and we will be pleased to visit you and offer a free estimate for your repair. Itâ? ?s that simple! " 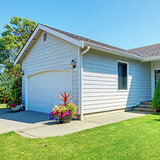 The Best Garage Door Repair services in Renton, WA Our Garage Door Repair Company in Renton is the best in garage door repair, replacement and installation. Renton Garage Door Repair is a Local company based in Renton, WA 98057 for Garage Door Repair Services In Renton, WA Call Us at (425) 207-3086 we can Repair your Garage Door Today! Experienced technicians for both garage door and gate repair services! 24/7 emergency service, great maintenance service, gate intercom installation, garage door opener experts. Garage doors and gates are valuable assets to a Lake Forest Park, WA home’s curb appeal, security system and storage needs, so when they need to be repaired, it’s always smart to hire a local garage door repair professional. A Lake Forest Park, WA garage door maintenance pro can fix a wide range of components, including exterior damage, parts, openers and weather sealing. What types of garage door service tasks do contractors in Lake Forest Park, WA provide? A damaged garage door can lead to increased security risk, ruined belongings and an unpleasant exterior, so look for Lake Forest Park, WA repair professionals who provide same-day or emergency services if the damage is extensive and poses a potential health and safety risk. Find Lake Forest Park, WA garage door repair professionals on Houzz. Narrow your search for garage door repair professionals by selecting the nearest city or zip code. Look at portfolio and product photos, and read reviews to find the best garage door contractors in Lake Forest Park, WA for your home.